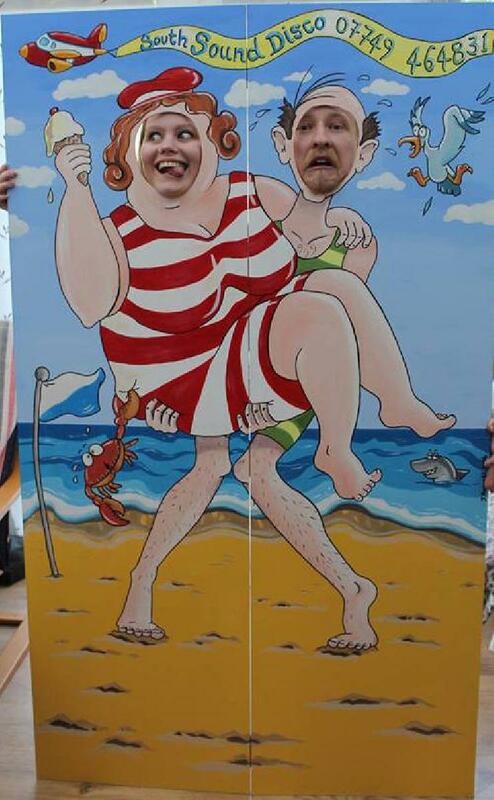 SouthSound are always working hard to create opportunities for our customers to enhance their parties. 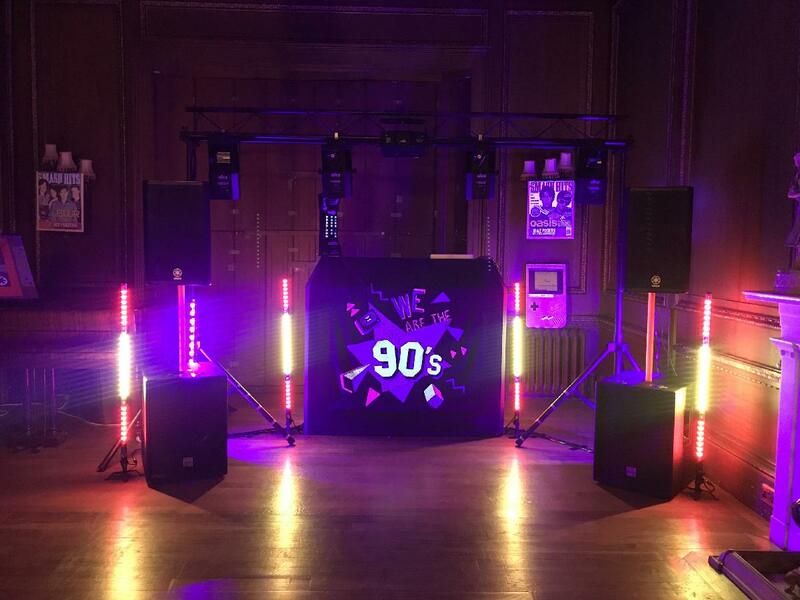 We can supply the following extra services for your themed event and we have a large number of large party props designed and made by us that are displayed at your party - Contact us via the contact form to find out more info including pricing or call us on 07749 464831. 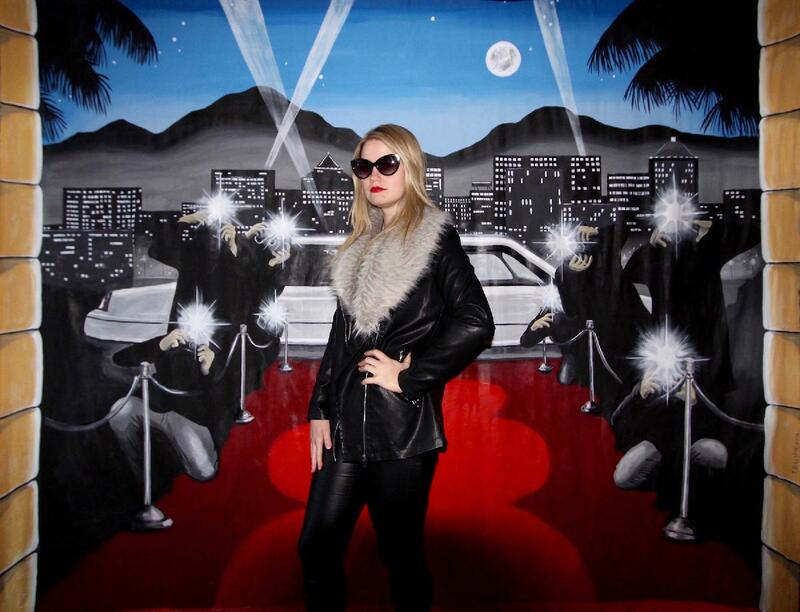 For a small additional fee large hand painted photo backdrops are available to add extra fun to your party, complete with a large selection of props especially made for SouthSound for you and your guests to enjoy. 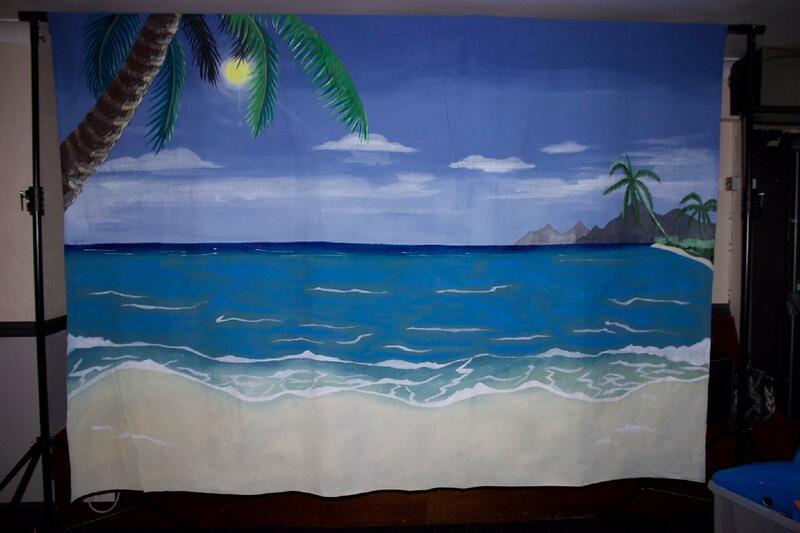 Hiring any of these backdrops also include a 3m x 2m framework and props. We can also provide a photographer for the evening to take photos for you (subject to availability & extra fee applies). Digital photos will be available to download shortly after your function if our photographer is used. 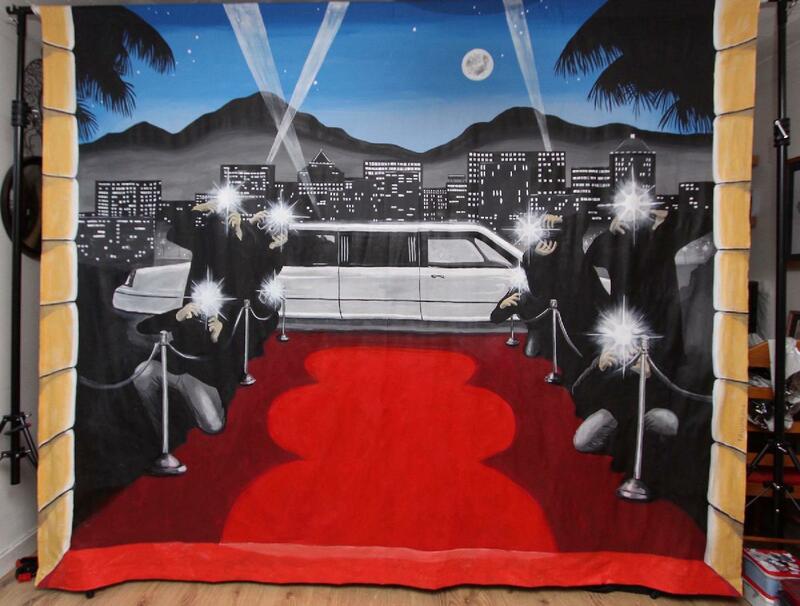 If you are planning a themed event, we can have one created for you if we are informed well in advance. 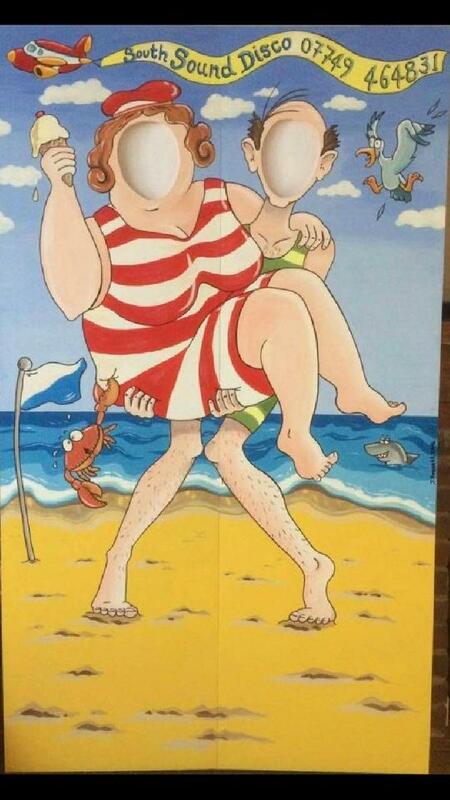 For a bit of traditional British seaside fun! 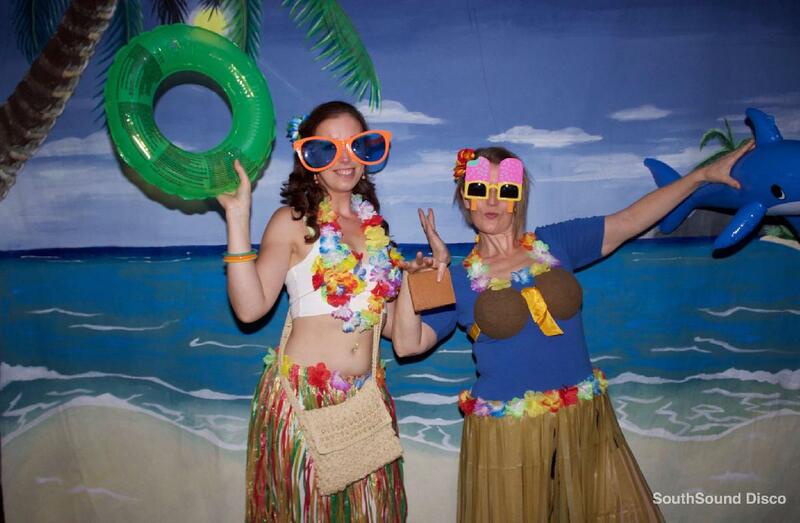 Free standing peep board for your beach themed party, also popular at seaside wedding receptions. Can be used for you to take your own photos or we can supply a photographer for the evening (subject to availability), or you can hire your own. Digital photos would be available to download shortly after your event at no extra cost (if our photographer is used). 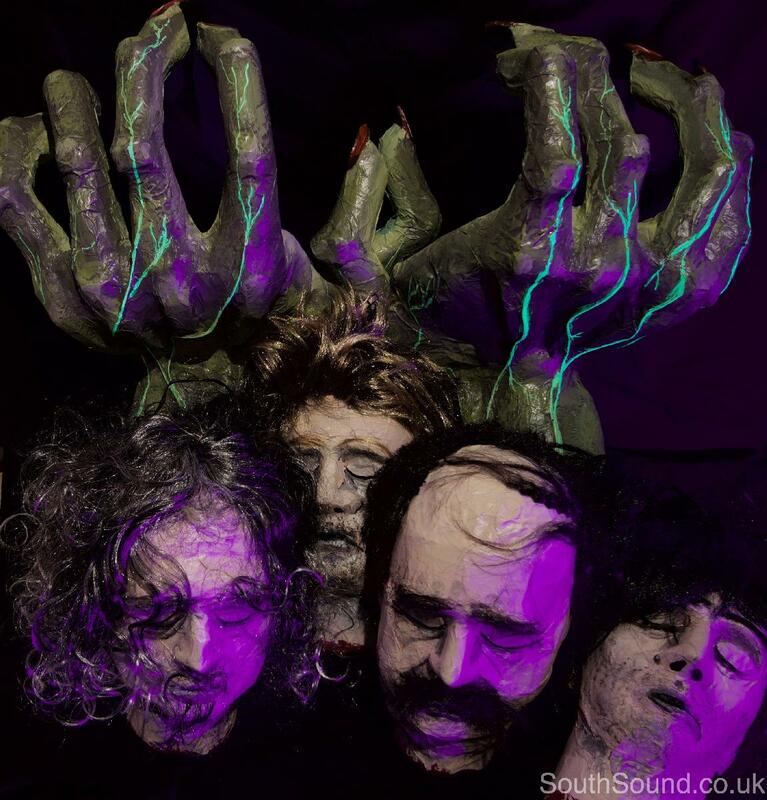 For extra halloween fun you can have our large monster hands, severed head props and ultra violet lighting included at your party. (subject to availabilty). 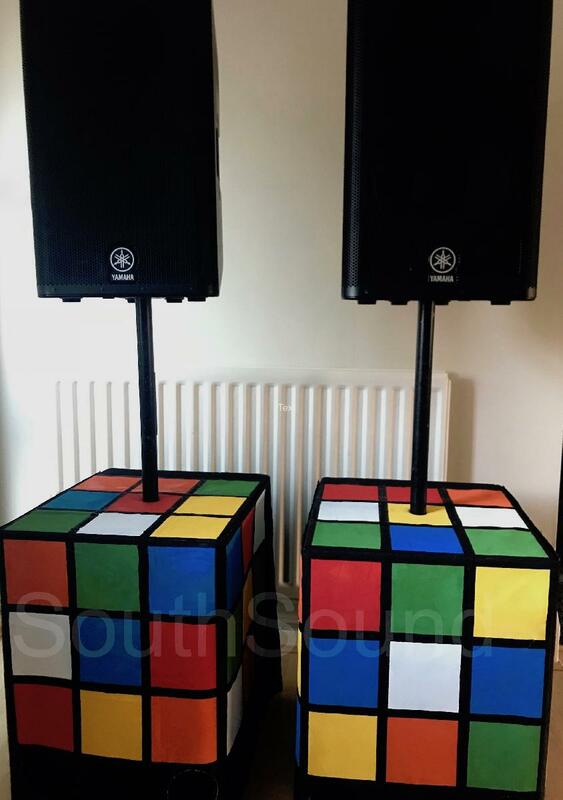 Above are just a small selection of props that are displayed around the disco equipment at your themed event and guests are welcome to have their photo taken with them. 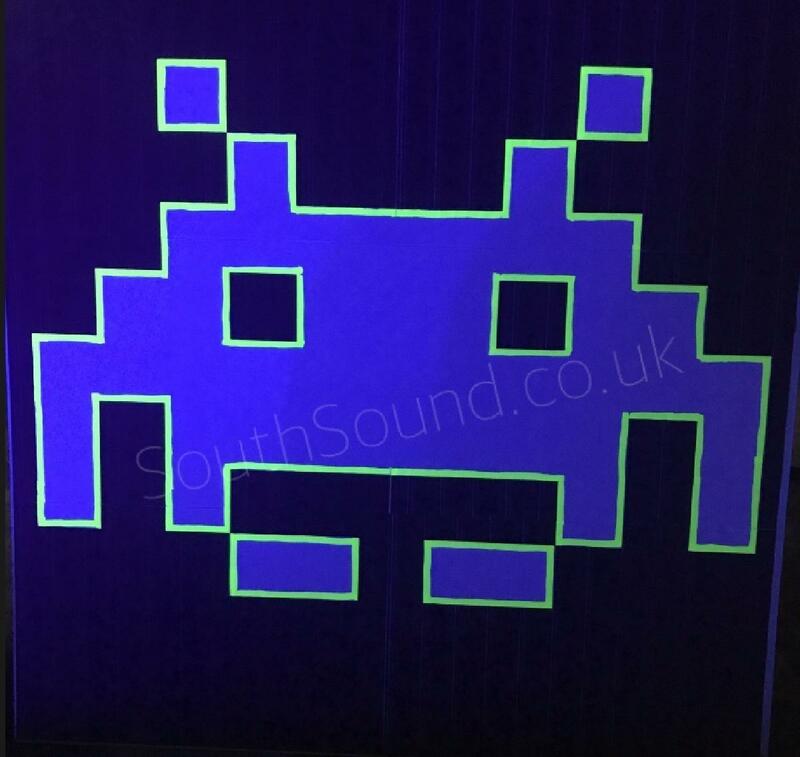 All of our large props are made by us making them all unique to SouthSound Disco. They are made completely from materials that are destined for landfill. 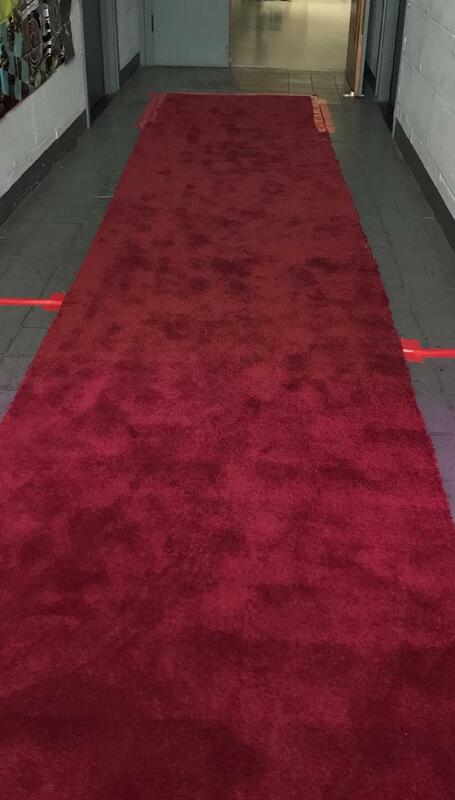 Red Carpet Hire - Ideal for Proms, Weddings & Birthdays (measures 1 metre x 5 metres). 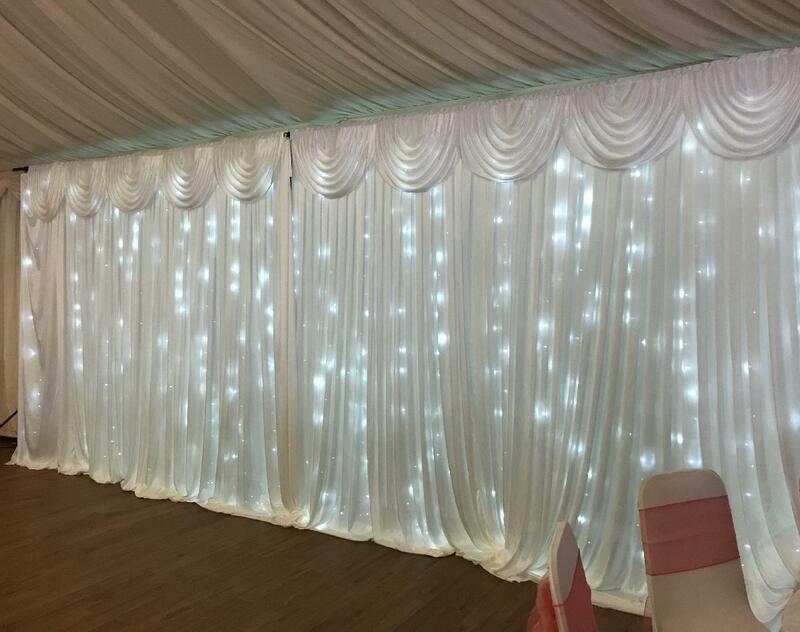 Our white LED backdrop is ideal for your wedding behind your head table, dance floor or behind your entertainment, measuring 6 metres (w) x 3 metres (h) it hides any unsightly wall decor (wallpaper, light fittings, radiators etc). Hire includes delivery to your venue, installation and dismantle. We also hand steam the curtain to ensure it looks perfect. The LED's can remain static, fade in / out or twinkle at a range of speeds. For pricing info please contact us via our contact page with your requirements. 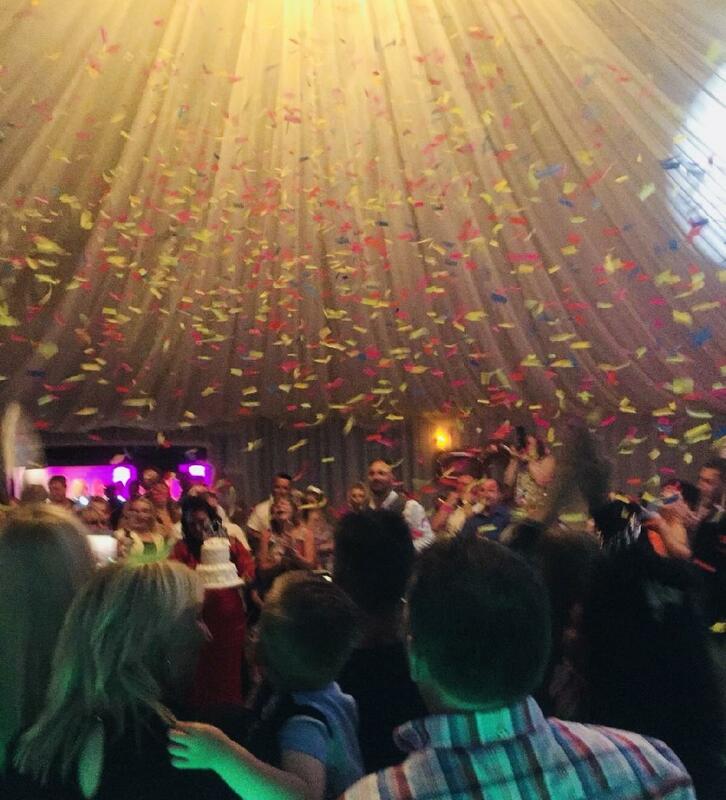 Our confetti cannons are proving very popular adding that extra wow factor at your party.